I thought in general smaller wheels handle better in wet and larger in dry? The outer diameter of the wheels is the same. The rim is larger and the sidewalls narrower on the 17 inch wheels. my wife has the 17" rim from the persona model. She has had very little issue in the Minnesota winter. We just got 5" last night into this morning. Streets have not been plowed, I bet she would get stuck on these roads. My Honda cr-v didn't enjoy it on my commute, but I made it out. Luckily, she WFH. nothing under the front seats? I'm not sure. I haven't seen a 2019 model. I noticed there were no visible vents though. What's the precise wisdom on here, 15 inch or 17 inch tyres? I do think you get better fuel economy with the 15" rims though. When I had my 2012, I had the model two and 15" rims that regularly got better economy than my wife's 2013 with the 17". my wife has the 17" rim from the persona model. She has had very little issue in the Minnesota winter. I swap our 17" for Michelin X-Ice 195/65R15 (on corolla steel rims) every winter. Below 7C the snow tires grip better, even on bare roads. It is an extra expense upfront, and a hassle to store/swap, but you can work into the tire rotation, and there are advantages: two sets of tires will wear longer, and it keeps the nice alloys out of the winter conditions. We finally got some snow the last few days, lol. Snows make such a huge difference. When we were in PA/NY we only had a Jetta and a Prius. We put snow tires on both and either would take you where you needed to be, though the Gen2 traction control would still just give up once in a while. We also had lower MPG on 17s than with 15s on both cars, though the Prius hit (with tC rims) was more significant than the TDI. I've shied away from 17s/18s ever since. The Hondas and the Camrys change their EPA MPG on higher trim levels with (among other things) larger rims. I've always wondered how the Prius got away without that. I went with 17's because I didn't like the looks of the 15" with plastic wheel covers. But yeah, they are a hassle: heavier (just the third gen rims are 24 lbs apiece, lol), more expensive to replace, mpg penalty. I went with 15" tires because there's less road noise, and the larger tires seemed unnecessary and pointless for a Prius. I do understand that other people have different needs. Bigger tires may serve other purposes. 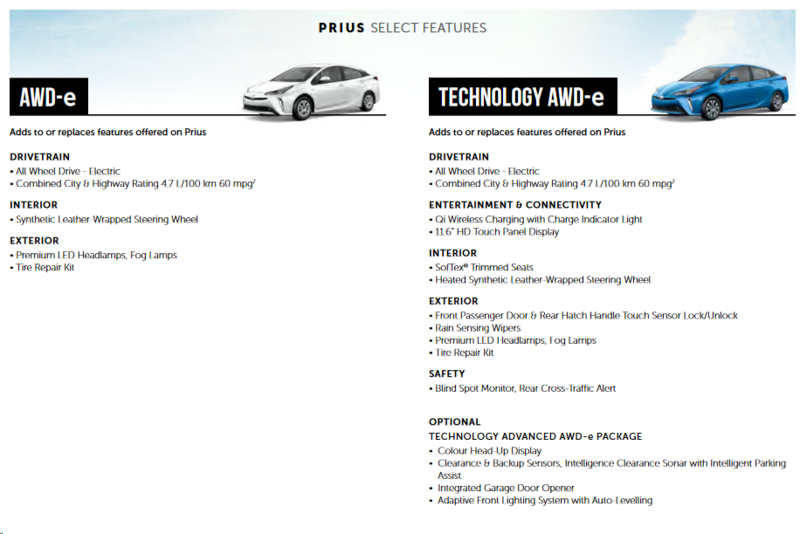 Toyota Canada is showing the 2019 Prius now, some significant changes to the levels. In the wet and snow, the real difference is from tread width, not wheel diameter. Narrow tires don't need to push as much water or snow out of the way. At least for Gen3, they kept the different Prius trim levels in the same weight class, which is why some of the heavier options (such as sunroof) were not made available with the 17" wheels. And they figured the composite sales-weighted EPA rating for all the different trims levels lumped together, producing a single 'average' MPG rating for the whole collection. But didn't Toyota depart from this, at least somewhat, with the Gen4 collection? ... I do understand that other people have different needs. Bigger tires may serve other purposes. Eye Candy is one of those purposes. The thing that impressed me the most about the 2019 refresh was the apparent ability to actually get 15" ALLOY wheels rather than 15s that have plastic covers. I like the sunroof/15 combination in the 2019 XLE convenience package. Even if the wheels look a little Honda. The rims with covers are alloys. As far as I know, all the 15" stock wheels are the somewhat rudimentary looking ones, with wheel covers. There is an accessory alloy rim, double the number of spokes, and chrome finish. I find it a little too glitzy though. I like the Plug-In Prius rims (2012 through 2015), acquired a set, not quite sure how and when I'm going to use them though. 1. Four levels, essentially base and loaded (Technology), with and without AWD. 2. No levels with 17" rims. 3. Only the base 2WD has a spare tire. 4. Only the the two advanced levels (with/without AWD) have touch to unlock/lock. 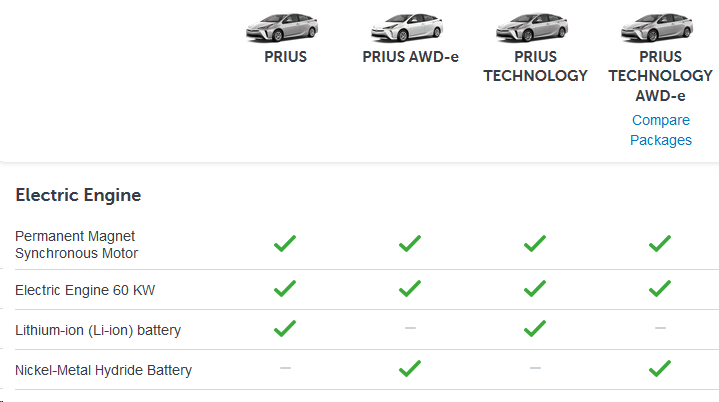 Seem like a typo in the hybrid battery spec: the 2WD's are lithium ion and AWD are nickel metal hydride if I'm not mistaken. Merkey and Tideland Prius like this. In the US the previous Prius One & Two had NiMH. 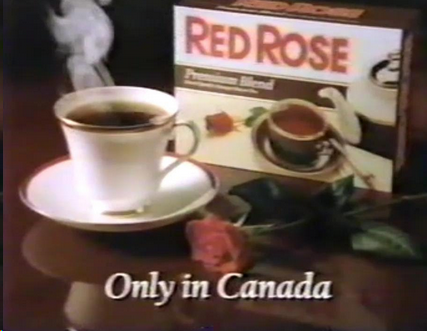 Perhaps Toyota Canada decided on NiMH to be cure the northern users did not have battery issues in cold weather. I think stateside AWD models are NiMH too? 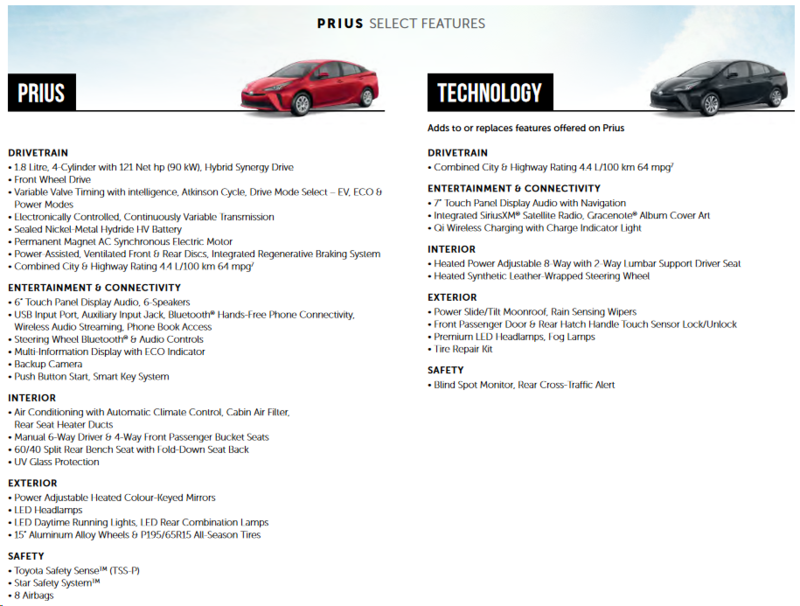 It is nice to see that Toyota has final put the 2019 Prius build up on its website. Will our original Gen 4 Prius exterior styling be viewed as...?